French Impressionist painter Claude Monet lived from 1840 to 1926. 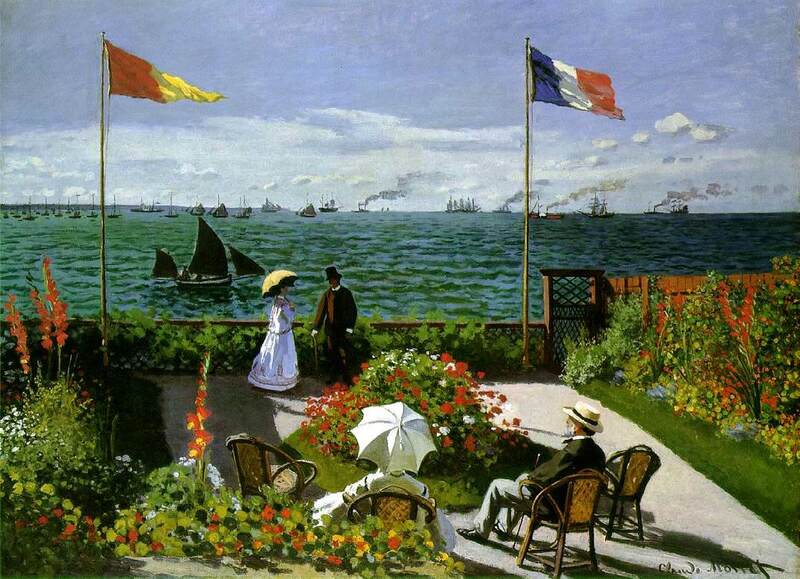 He painted The Garden at Sainte-Adresse (La terrasse à Sainte-Adresse) in 1867 while spending the summer in the resort town of Sainte-Adresse on the English Channel near Le Havre, France. The painting is currently owned by the Metropolitan Museum of Art. Posted in Uncategorized and tagged Claude Monet (1840-1926), The Garden at Sainte-Adresse. Bookmark the permalink.